In 1949 William E. Chriss started Chriss Tailoring. His main goal was to provide the soldiers serving at Fort Benning with the highest quality tailoring and service possible. Chriss Tailoring grew and in 1978, Arthur Chriss, the son of William Chriss, expanded the business to include military uniforms and supplies. ARCCO, Inc. was opened on Victory Drive in Columbus. In 1993 Art and Susan Chriss decide it was time to retire. Randy Acton of U.S. Cavalry bought the businesses and ARCCO Military Supply and Birch Military Wholesale were closed. U.S. Cavalry bought the business and moved into the space at 4411 Victory Drive. Arthur Chriss had never let go of the names or the original corporations. 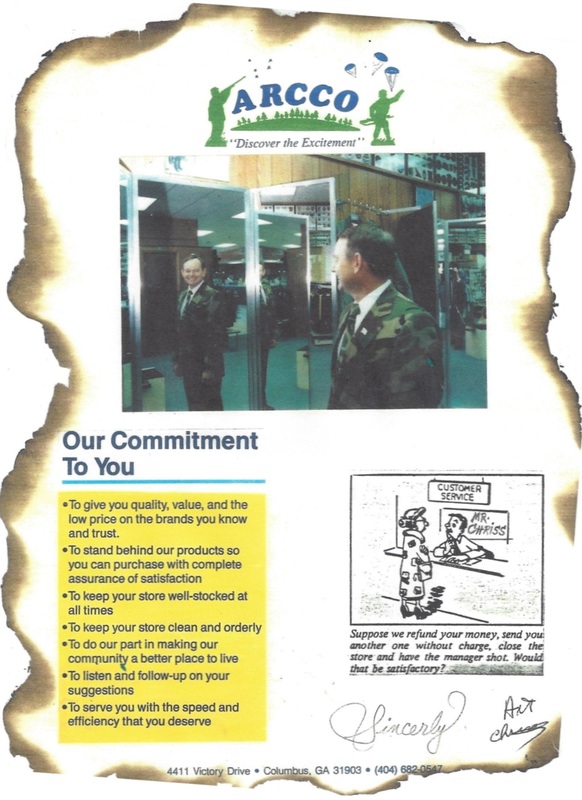 And after a brief retirement on March 1, 2004 he reopened Birch Military Wholesale under a new name: Commando Military Supply. Commando Military Supply is still a family-owned and operated business. We are proud to support our local community!